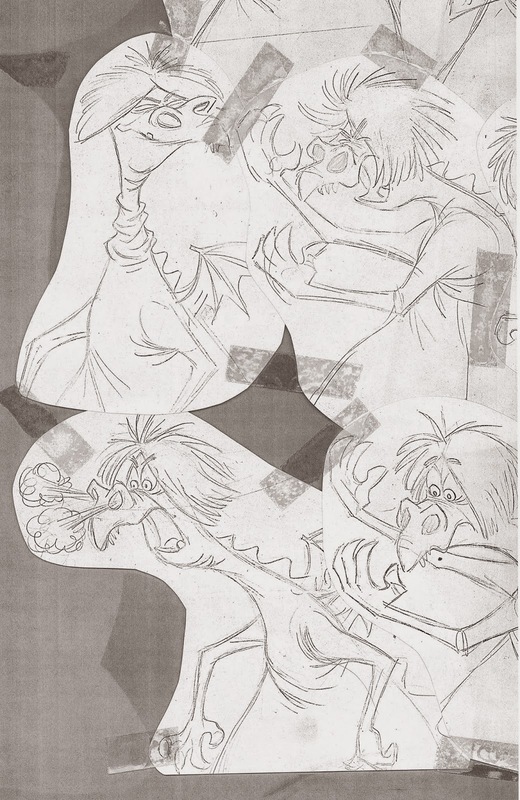 The animators who worked on The Sword in the Stone all agreed that The Wizard's Duel was a highlight of the film. This is pure character animation material, two sorcerers turning themselves into a variety of animals in an attempt to crush the opponent. 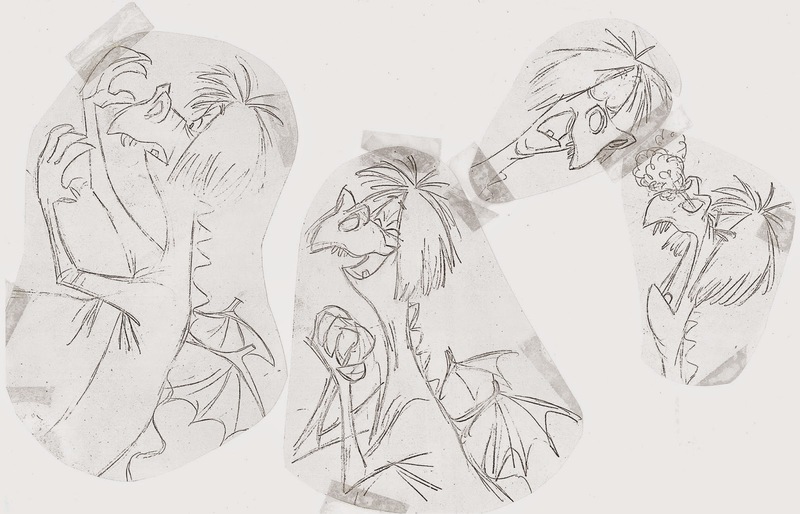 This story sketch showing Madame Mim as a dragon (a rule breaker) is by Bill Peet, who not only boarded this sequence, but the entire film. 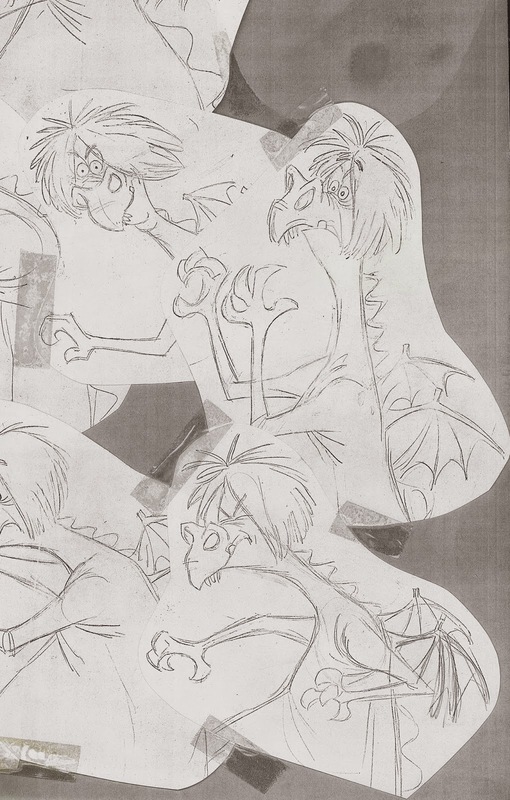 Milt Kahl pretty much kept Peet's design intact while polishing it for the dragon's final appearance. 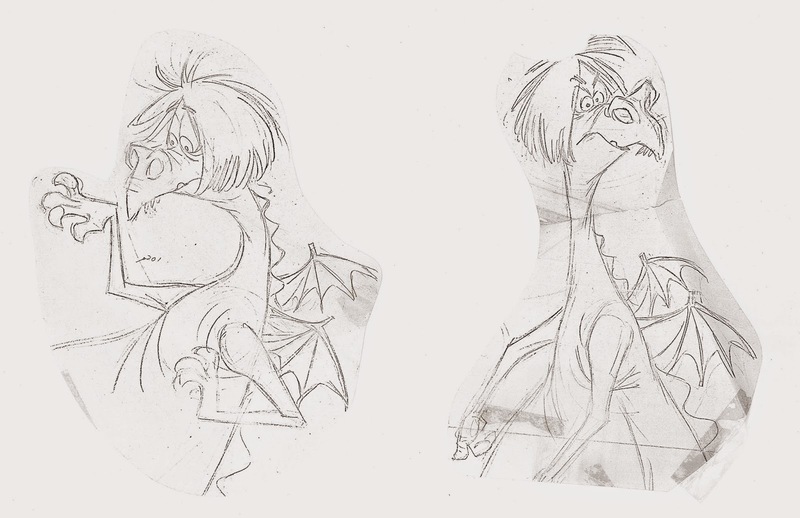 Milt basically redrew poses from Peet's story boards, making only minor adjustments so the character would fit into the overall styling of the movie. 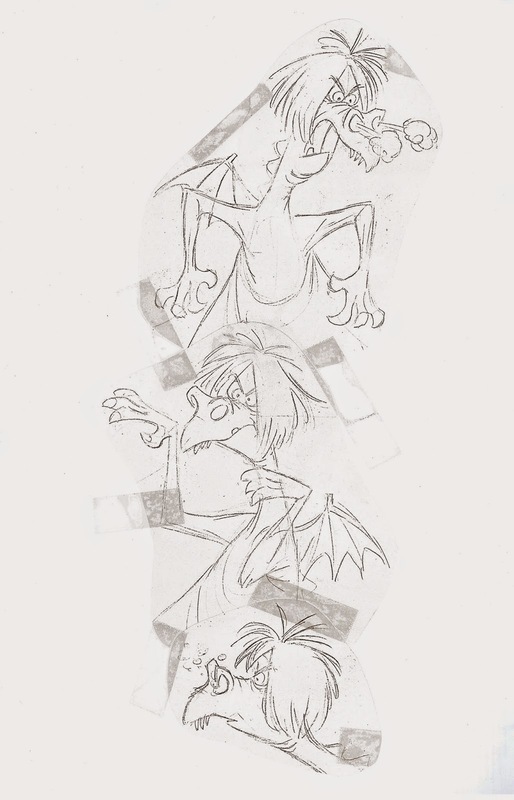 Milt himself didn't animate any footage with the Mim/Dragon, Eric Larson ended up drawing those scenes. Here is Milt's very graphic version. 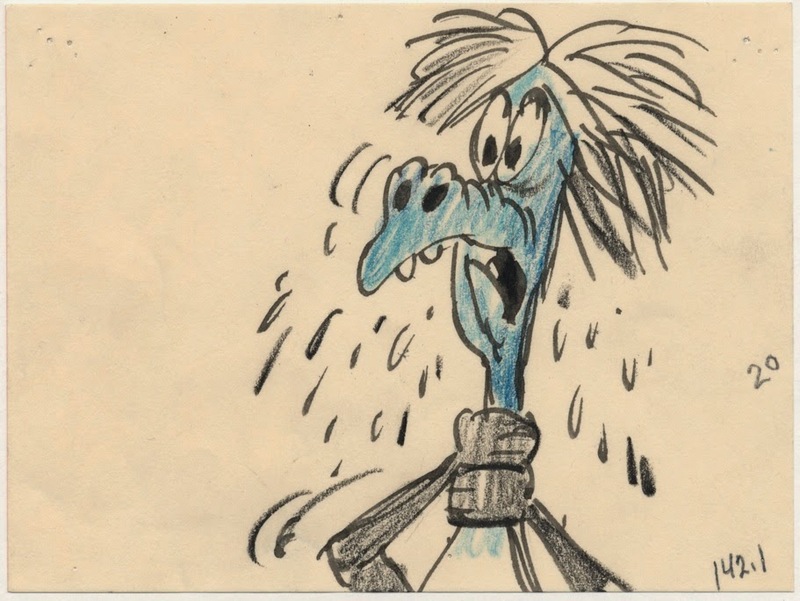 Didn't Bill Peet have an alternate story idea for the Jungle Book? The wizard's duel is one of the best sequences in animation history!